How do you fight with your partner when money is on the table? Do you argue with them over how to budget or criticize them for their “uncontrollable” spending habits? As we’ve learned so far in the Managing Money in Marriage column, conflicts about money in a marriage aren’t really about money. Most arguments are about what money means to each person in the relationship. It is those differences, not the dollar value, that are often the root of financial disagreements. He gave couples foam rubber bats and encouraged partners to take turns saying what they resented about the other person. One partner might say, “I resent you for spending our money on a stupid boat we never use,” followed by a whack with the bat. Then the other partner might say, “I resent you for spending thousands each year on clothes and heels,” accompanied with a whack. It turns out this method only made couples feel more resentful toward one another. “Letting it all out” over money is not the solution. It’s important to reframe your approach toward conflict. Happy couples start conflict conversations gently and allow their partner to influence them. They work with each other to compromise and find a solution. In this way, anger and frustration about money can actually be a catalyst for profound growth in a marriage. 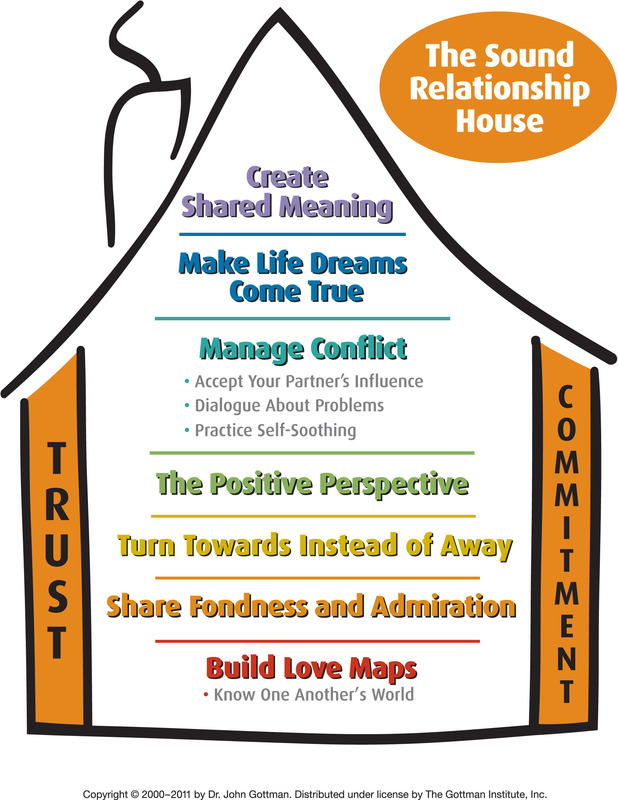 Like building a Sound Relationship House, money conflicts can be used to reconstruct the way we love each other over time. This process will only work if both partners agree that there are two valid viewpoints, and if BOTH are not focused so much on “facts” as on understanding the other’s side of the event. These five rules will guide you to stop fighting about money and start connecting in your relationship. If you find you and your partner’s core needs are at war with each other, don’t fret. We will offer 10 questions to get your relationship out of gridlock next week. This exercise has been proven to be the most effective way to use money conflicts as a catalyst for increasing the romance, affection, and appreciation in your relationship. Just add your email below and we’ll send you Dr. Gottman’s Money Conflict Blueprint cheat sheet for free.